A majority of Iowans were fed up with human abortion. They elected a governor and a Senate and a House that believed abortion should be illegal when the preborn person in the womb felt pain when he or she was aborted. Our Republican government responded to this democratic outcry on behalf of human life by banning human abortion after 21 weeks. A coalition of pro life groups responded quickly with data that exposed this Planned Parenthood lie, as you can see on the map above. Rural health care centers scattered around the state provide better care without killing the baby in the womb. Democrats prefer for money to be directed to a dozen Planned Parenthood locations, since PP is a large donor. I don’t think so. 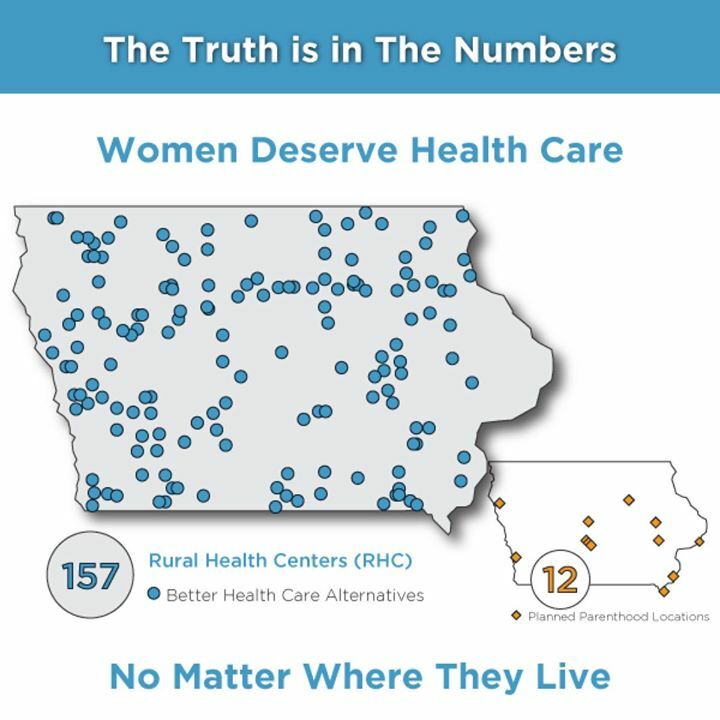 Women will simply visit rural health centers which will be better than ever thanks to more funding.